You should know by know that it’s important to encrypt your files before uploading them to the cloud. But still, most people, are using services like iCloud, Dropbox and/or Evernote without any concern because they’re “convenient”. 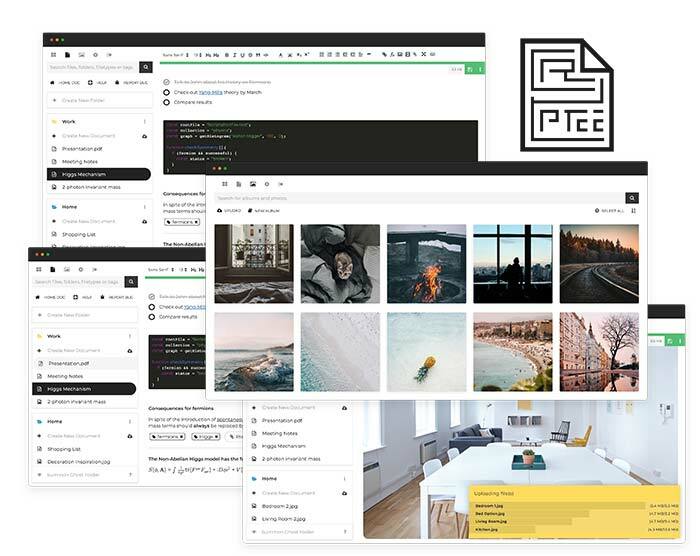 If you’re one of those people you might want to take a look at Cryptee – a cross platform, encrypted and secure home for your private documents, notes, files and photos. Based in Tallinn, Estonia, where the government runs on blockchain. Cryptee uses a strong AES256 zero-knowledge encryption and has deniability features for when you need it. And it has all the features you’d expect like live sync with unlimited devices, rich document editing, todos, markdowns, hotkeys, code highlighting, latex, embeds, attachments, support for PDFs etc. It also comes with support for Ghost Folders ( for both Documents and Photos ) which means you can completely hide a folder and only be able to unhide It if you know the folder’s name. You can signup just with just a username ( email is optional ) and it’s cross-platform. One other thing about Cryptee is that it comes with a progressive web app which can easily be added to your mobile device’s home screen and it will act just like a native app – so you don’t need to trust an App Store or worry about your App Store download history. If you want to try Cryptee, the service comes with a free plan that will get you 100MB of storage for your photos and documents. There’s also a 30 euro / year paid plan that will get you 10GB of storage ( and if you need more storage you can pay 3 euro / month / additional 10GB ). Learn more about Cryptee here. Previous Previous post: What’s Happening On the Smartphone Market?